Players by pressing S1, to simulate the "dice", the number of points obtained by seven LEDs to indicate the same kind dice, instructions 1-6 points. Operating£ºSeven LEDs will display a number of points randomly when it's on. 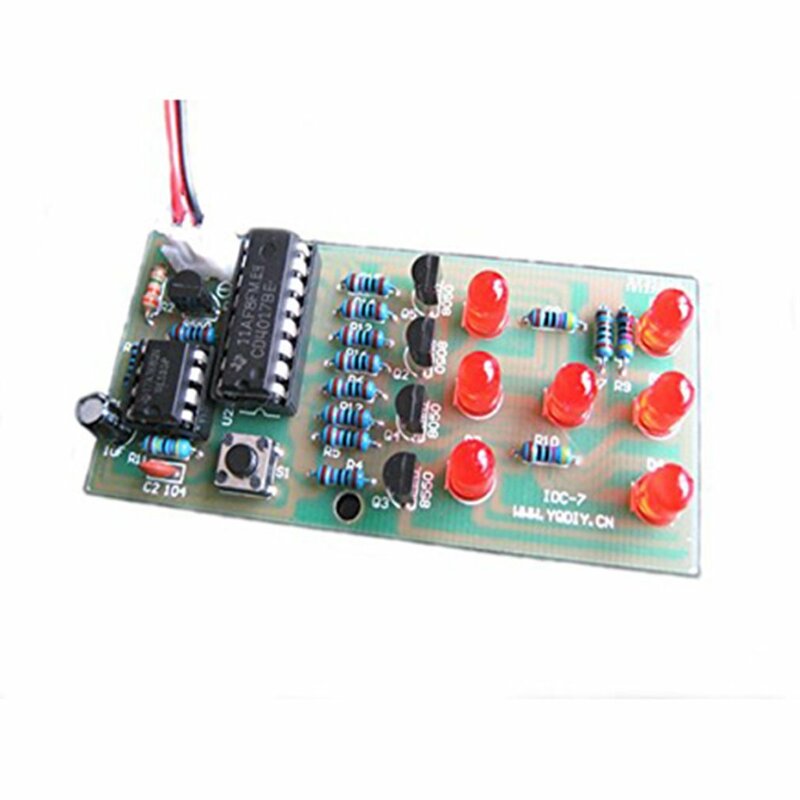 After pressing S1, seven LEDs light up and start flashing for few seconds. And it ends up with displaying a point in a stable way. The circuit is mainly composed of pulse generator and a decimal counting circuit. 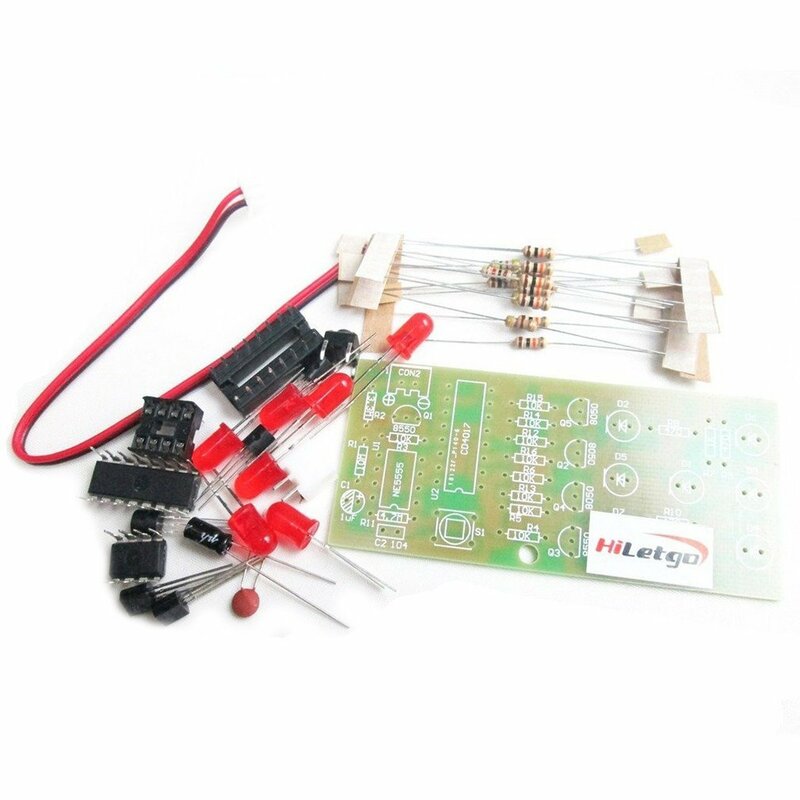 And the multivibrator is formed by NE555 and the peripheral components. After press S1, Q1 is on and PIN 3 of NE555 outputs the pulse. Five output ends of CD4017 output the high level by turns. 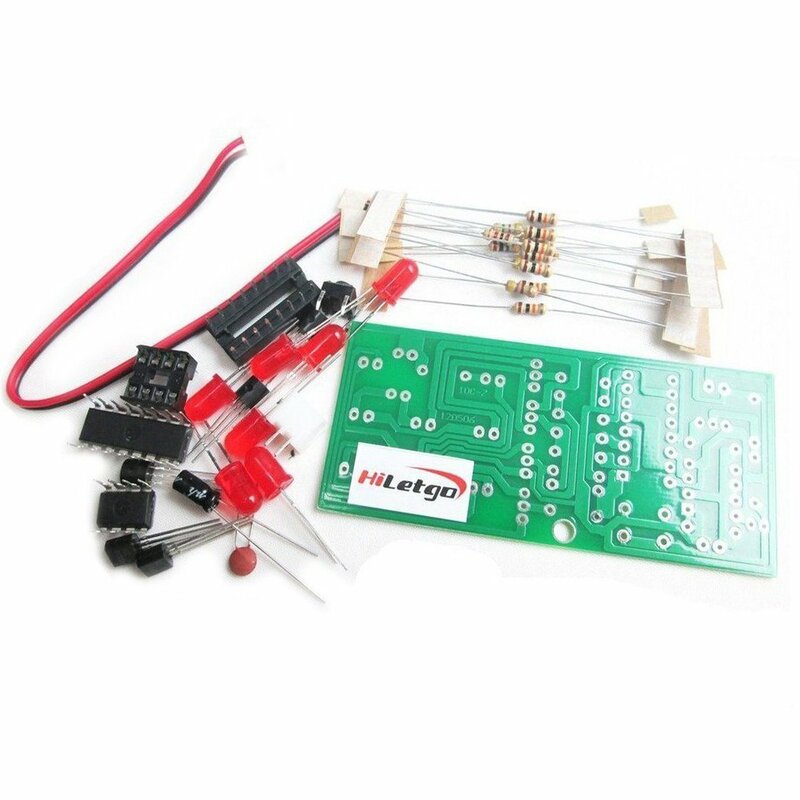 Seven LED light up and indicate 1-6 points with the results of the different combination between resistors and transistors.